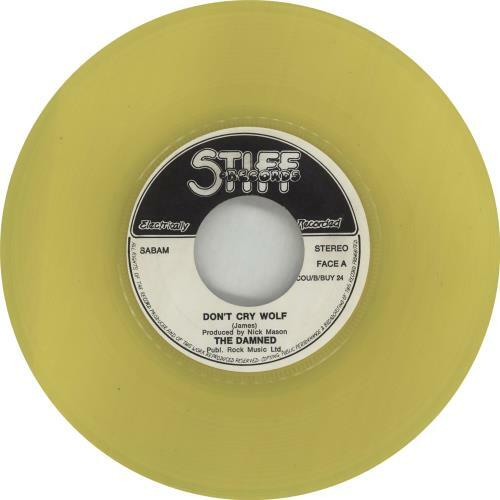 THE DAMNED Don't Cry Wolf (Rare 1977 Belgian wide centred YELLOW VINYL 7" single, also featuring One Way Love, manufactured in very limited numbers. 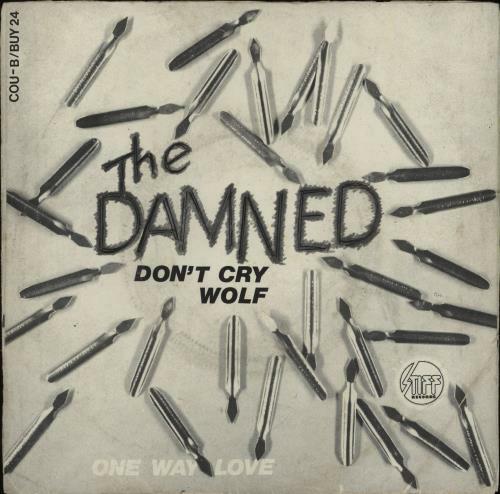 The thin cover has all the characteristics of a vintage punk sleeve with some corner creasing from ring wear, a few thumbnail splits in the top edge but only a little mild discolouring, & is a unique 'ink pen' design with unspoilt artwork. The vinyl appears Excellent to Near Mint with little evidence of playCOU/B/BUY24). or visit our The Damned image gallery.